Niki Alling's Blog: School Days! Many people are gearing up for back to school this weekend. So get out and enjoy the barbeques and weather if you can, summer will be over soon. Those of you who know me, know I hold a special place in my heart for the paraprofessionals who work in our schools. Their dedication and commitment should not go unnoticed. They provide the backbone of the classroom, and an extra heart for the children to turn to. Although I am a Teacher Aide myself, the designs were created with all of my colleagues and friends in mind. I know how much of ourselves we put into our work everyday, and I am proud to be a part of such a wonderful group of people. 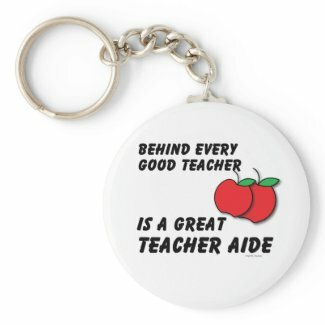 I have dedicated some designs to the appreciation of Teacher Aides, Teacher Assistants, Special Education and more, and I am happy to say, that there are many people from the US and abroad, who have shown their support to their own classroom staff.